I'm currently a Software Engineer at Google in Los Angeles. I completed my Ph.D. in Computer Science and Engineering at UCSD under Serge Belongie in June, 2013. 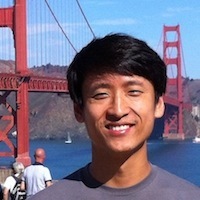 My research interests are in computer vision, machine learning, and computer security. I graduated with a B.S. in Computer Science from the University of Washington, Seattle, in 2006. I also go by Shiaokai. Eric Kim, Nicholas Carlini, Andrew Chang, George Yiu, Kai Wang, and David Wagner. Improved Support for Machine-Assisted Ballot-Level Audits. Kai Wang, Eric Kim, Nicholas Carlini, Ivan Motyashov, Daniel Nguyen, and David Wagner. Kai Wang, Eric Rescorla, Hovav Shacham, and Serge Belongie. OpenScan: A Fully Transparent Optical Scan Voting System. Peter Faymonville, Kai Wang, John Miller, Serge Belongie. Benjamin Laxton, Kai Wang, and Stefan Savage. Shiaokai Wang, William Pentney, Ana-Maria Popescu, Tanzeem Choudhury, and Matthai Philipose. Commonsense-Based Joint Training of Human Activity Recognizers. William Pentney, Ana-Maria Popescu, Shiaokai Wang, Henry Kautz, and Matthai Philipose. Sensor-Based Understanding of Daily Life via Large-Scale Use of Common Sense. Donald J. Patterson, Lin Liao, Krzysztof Gajos, Michael Collier, Nik Livic, Katherine Olson, Shiaokai Wang, Dieter Fox, and Hentry Kautz. 6/11/12: [TRAVEL] Back for more in Santa Monica doing an internship at Google. 4/26/12: [MISC] Recevied an Intel PhD Fellowship for 2012/2013. 11/02/11: [CODE] Source code for 'End-to-End Scene Text Recognition' posted . 3/21/11: [TRAVEL] Spending the next 6 months doing research at UC Berkeley. 12/3/10: [MISC] A special note about Academic web pages versus social networking websites . 10/21/10: [MISC] Added space to link random/useful info. 9/9/10: [MISC] Recevied a KSC grant from Yahoo!. 6/21/10: [MISC] Moved the NEWS section to the bottom..
6/21/10: [TRAVEL] In Santa Monica this summer doing an internship at Google. 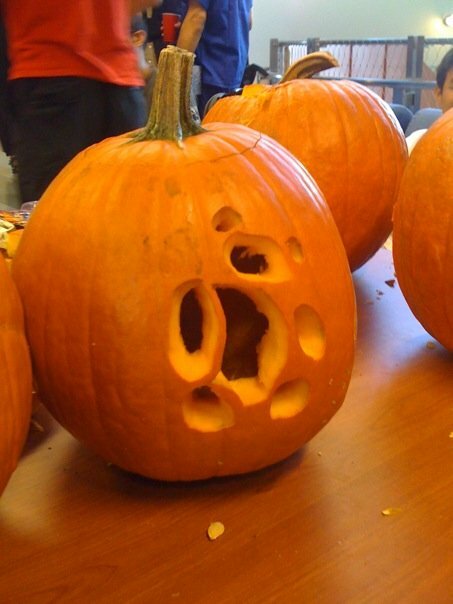 10/23/09: [MISC] I carved a pumpkin. 6/13/09: [TRAVEL] In Beijing, China this summer doing an internship at Microsoft Research Asia. 8/04/08: [RUNNING] San Francisco Marathon results! 6/14/08: [TRAVEL] In Mountain View this summer doing an internship at Google. 4/30/08: Added a page for my race results. Inkscape: an awesome (free) vector graphics program. UNIX filesytem standard: nice to know. iFixit: a useful online repair guide for Apple products.